Marcy Olson works with the WIDA assessment team as an assessment content specialist. She specializes in content for grades K-5, with a particular focus on the assessment of speaking. Prior to joining WIDA, Marcy worked as an educator of English language learners for over twenty years in Wisconsin schools. She is passionate about language and literacy development for young ELLs. 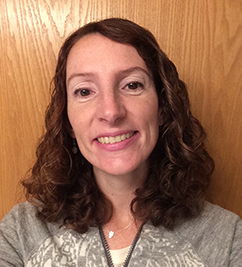 Marcy has a Master of Education in Curriculum and Instruction from the College of St. Scholastica and a BA in Spanish and Hispanic Studies from St. Olaf College. When not at work, she enjoys running, watching her children run, and adventures with her dog.